MONTREAL, Dec. 11, 2017 /CNW Telbec/ - Air Canada embarked today on the next phase of its transformation with the entry into scheduled service of its new Boeing 737 MAX 8 aircraft. 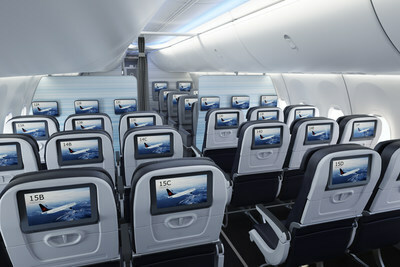 Flight AC137 from Toronto to Calgary this morning was the first to be operated using the 169-seat, fuel-efficient aircraft, featuring Air Canada's next generation in-flight entertainment system, spacious overhead storage bin capacity and Boeing's Sky Interior. 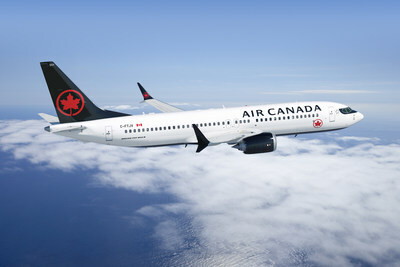 Throughout the day it will then fly passengers from Calgary to Montreal, followed by service from Montreal to Vancouver. "Introducing a new aircraft type to the fleet is always exciting for an airline, but we know customers will be even more thrilled by the Boeing 737 MAX, which is set to become the mainstay of our North American, narrow-body fleet. With this new aircraft we are introducing the next generation of our onboard entertainment system and customers will find ample storage space for carry-on baggage in its generous overhead bins," said Benjamin Smith, President, Passenger Airlines at Air Canada. "The 737 MAX is also more fuel efficient and quieter than the older, narrow-body aircraft it will replace, benefitting the environment. This increased efficiency will also enable us to compete more effectively and gives the aircraft extended range capabilities so we can launch new city pairings within North America, and routes to select international destinations. Combined with our fleet of Boeing 777 and Boeing 787 Dreamliner aircraft, the Boeing 737 MAX will ensure Air Canada continues to have one of the most modern fleets among global carriers," said Mr. Smith. 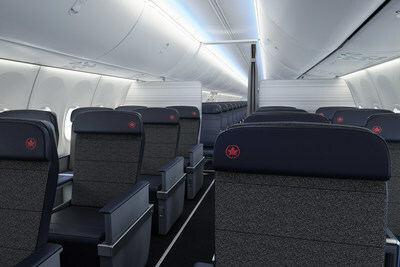 For more information, including photographs of the aircraft interior, please go to https://www.aircanada.com/ca/en/aco/home/about/media/photos-logos.html.